Star Trek 4 was certainly not a surefire thing after the slightly disappointing box office returns of 2016’s Beyond. However, Paramount decided to press ahead with the project and came up with a great new hook for the fourth adventure in the rebooted series – the script from writers J.D. Payne and Patrick McKay sees time travel unite Chris Pine’s Captain Kirk with his deceased dad and hero, George Kirk (as played by Chris Hemsworth in 2009’s Star Trek). S.J. Clarkson was then signed up to direct, making her the first female director in the history of the movie franchise. Fans infamously have problems with the modern films in the series, as they tend to be a lot more action-oriented than is traditional for Trek. Plus, any sci-fi franchise rebooted by J.J. Abrams is always going to cause controversy (see Star Wars: The Force Awakens). However, there are many reasons to get excited for the new installment. Not least because of the fresh talent behind the scenes, the excellent ensemble cast and the fact that Star Trek Beyond was an encouraging step in the right direction for the property. 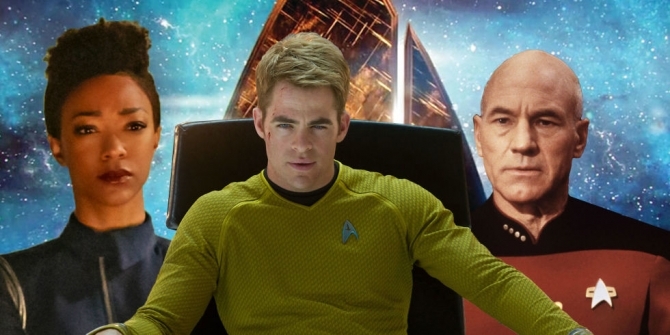 But what do we really want to see in Star Trek 4? From improved character dynamics to sorting out THAT casting issue, here are a few things we need to see to make the fourth installment in the Kelvin timeline as good as can be. As always, if you have any suggestions of your own, be sure to drop them down below.